If a referred candidate has been placed in the role recommended to it by the referrer. Once G2 Legal has received full payment from the client/firm that the referred candidate was placed and once the agreed rebate period has expired. If the referred candidate was not already known to G2 Legal. The programme only applies to UK residents who are aged 18 years and over at the time of recommendation. This applies to the referrer and the referred candidate. In the event of any dispute, G2 Legal's decision is final. A referrer cannot be a family member of the referred candidate. If the referred candidate is introduced to G2 Legal by more than one referrer then we will operate on a first come, first served basis. For the avoidance of doubt a referrer is not able to recommend themselves as a referred candidate. The amount of referral fee paid shall be up to the advertised amount and shall be paid in the form of vouchers. Full details on the voucher scheme can be obtained upon request. The programme is not open to G2 Legal employees, their friends or family. Call 0333 200 5555 or head to our contact page. You can also follow us for real-time updates and vacancies. Please email me a free CV review from By checking this box I agree for my CV to be sent to TopCV and for them to contact me directly. The importance of a good CV cannot be overstated when you are looking for a new job. Make sure your CV is as good as it can be by getting a professional review. 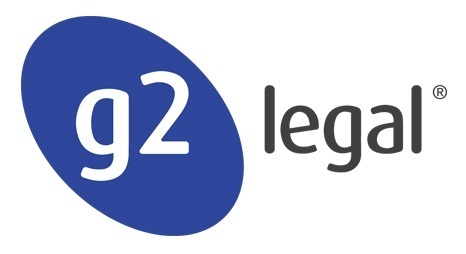 G2 Legal have partnered with TopCV to provide a free, professional CV review service. Using their service through us will get you one in-depth review of your CV, completely free of charge. You will receive advice on how to improve your CV to make it as good as possible. TopCV are one of the largest professional CV writing companies in the world with a network of over 300 writers and experience in over 65 different industry specialities. Get your free CV review by ticking the box. By using this service, you agree that G2 Legal can share your full name, email address and CV with TopCV. TopCV is a third party provider that offers a free CV review service and may be able to provide you with CV writing services. TopCV will email you directly to discuss these services with you. Jude, unbeknown to you, I have just completed a review of the last 18 months recruitment Suffice to say, that I am pleased with our ongoing relationship and am impressed with the way you have got to know our business and my particular requirements when looking for candidates. The quality of the candidates you have put forward has been very good and they have obviously been thoroughly assessed as suitable by you beforehand. You have become my ‘go to’ consultant Please pass this onto your Directors Thanks again for your hard work and efforts on Prince Evans Solicitors behalf! This is our first experience with G2 legal and I am very impressed with the service provided. Lee helped us throughout our recruitment process, he listened to our requirements and was on hand when required to answer any queries in a timely and professional manner. I have no hesitation in recommending them. We have used many different agencies for our staffing requirements over the years and never found one that particularly stood out from the crowd. 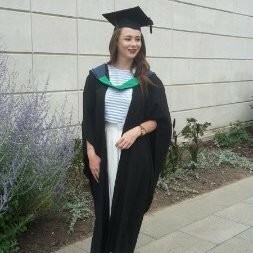 However, of late we are almost exclusively using Rebecca at G2 to find our new recruits because of the exceptional service she has given us. She has always been diligent in trying to find the right candidates and is pro-active and flexible in the way she operates. I would not hesitate to recommend her. Rachael [Atherton] is an easy-going, friendly professional who listened carefully to what I was looking for in the type of role I was wanting in order to make my move to a new city. I am about to embark on a new chapter and Rachael played a huge part in making my move so much easier than expected. Christopher was extremely helpful in securing me a new role. Hewas always available to talk and answer any queries I had. I would definitely recommend him to other candidates looking to make their next move within the legal field. I highly recommend Rebecca [Higgs], she is highly professional and always really friendly. Rebecca has excellent knowledge and contacts within the legal field to help you find your perfect job.